Mix everything together, being careful not to work the meat too much but enough to mix. Make two 8 ounce patties, careful not to press the meat together to tight. 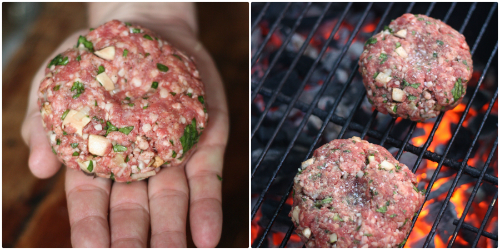 Take your thumb and make an imprint in the top of each patty. * Sprinkle each patty again with salt and pepper. Place in fridge until the grill is ready. Prepare your grill and grill each patty to your preferred doneness (adding the cheese just before you take it off the grill). Anything better than medium is not an option. Remove from the grill and allow to rest. A really hot Weber grill will allow for the char on the outside of the burger, sealing in those sacred juices. Prepare your fixings — I simply use mayonnaise, mustard, and fresh lettuce. Ketchup is never an option on a burger in the E.A.T. kitchen. Ketchup has minimal uses in my kitchen and burgers are definitely not one of them. 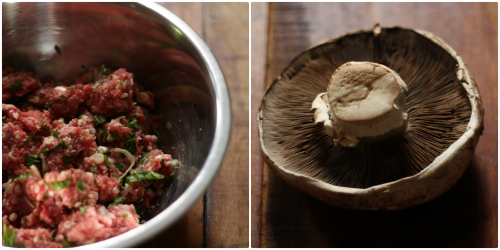 Mixing fresh greens into a burger with portobellos gives the texture a whole different taste and feel in the mouth, so don't just toss some meat in a bowl and make a patty. 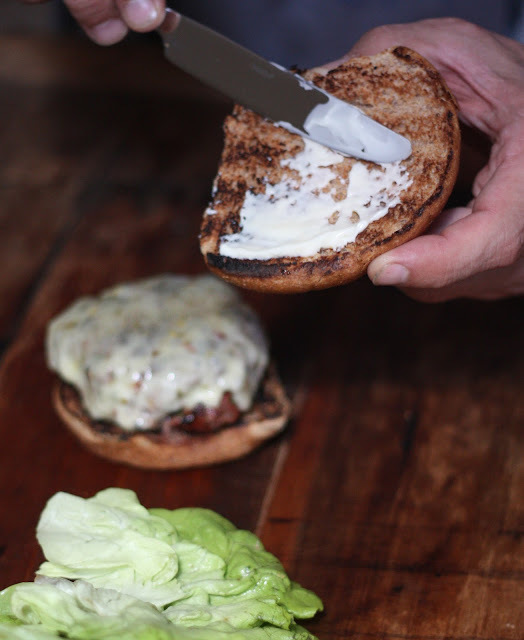 What else do you have in your fridge that you can incorporate in your burger? What is your favorite throw on the grill concoction?